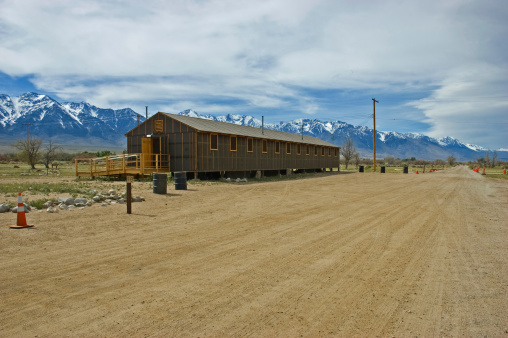 Barracks at the Manzanar camp in California. 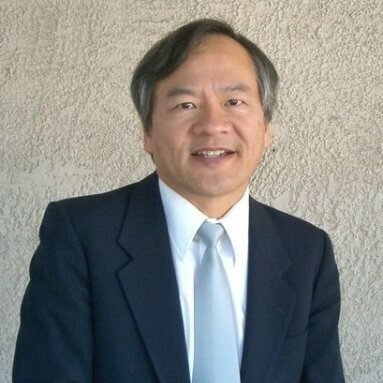 Thousands of Japanese Americans were interned there during World War II. As the nation continues to witness the chaos resulting from the Trump Administration’s “zero tolerance” policy of separating children from their parents when they enter the United States, many organizations including the National Association of Social Workers (NASW) have decried this cruel, inhumane and immoral policy. Social workers along with many other mental health professionals are shocked that our government has been engaged in this psychologically devastating practice which has lasting effects on children and their parents. I recently returned from the biennial “Tule Lake Pilgrimage” attended by more than 400 Japanese American former internees and their descendants. During World War II, more than 120,000 Japanese Americans were forcibly removed from their homes and incarcerated in remote, desolate camps throughout the nation. Many fathers and grandfathers, uncles and other male members were separated from their families and children and sent to detention centers to be interrogated and held for months and years. Seventy-five years later, Pilgrimage attendees who were children in these camps can recount the psychological trauma resulting from that government policy. The Pilgrimage is a remarkable, healing experience where survivors share their emotions including anger, distrust and the challenges of suppressing the trauma. As important as their own mental health well-being is their witness of the toll that was exacted on their family members, especially their parents, grandparents, aunts and uncles. By recounting and sharing their stories, attending workshops and plays, viewing films and participating in a solemn ceremony at the site of the former Tule Lake Segregation Center Jail honoring those who died in camp as well as those who survived, their healing process continues. Even more remarkable was the near unified voice of the attendees that separating and incarcerating families and children was wrong and should never happen again. On June 30th, the national “Families Belong Together” Day protest, at the former Tule Lake jail site, attendees participated in their own protest demonstration in solidarity with those families and children that have separated at the border. Some attendees remarked how this pilgrimage was different from past ones they had attended. They felt a greater understanding of what happened to them and their families and they felt more whole and complete. They attributed it to what was going on with the children and families at the border and their participation in discussions and social action protesting U.S. government policies. Over the past few weeks, defenders of the Trump Administration policies have tried to deflect the criticism by calling the parents criminals and child abusers for taking their children on the long and dangerous journey north. These defenders can then “not care” about the children because it’s not the fault of the Trump Administration. Many of these defenders are people we know, including friends and family. While the conversations may be difficult and emotional, we should have them with these defenders. We as professional social workers have the skills, training and insights to engage in public discourse. If we’re successful, we may help people find underlying unresolved issues that keep them from empathizing with the plight of desperate people fleeing violence and abject poverty. As social workers we can and should take social action and pursue social justice. These values are embedded in our Code of Ethics and in our profession. This focus is what makes us unique than other mental health disciplines. NASW has the following website with resources on how social workers can take action now. Save the Children. Families Belong Together. We must advocate for the reunification of these children with their families, and see to it that they have the medical and mental health care they need to hea!